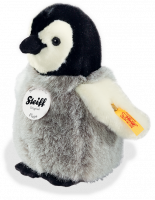 Steiff animals Flaps Baby Penguin, 057090 ~ Free Steiff Gift Box! 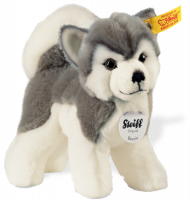 "Looking for a nice warm home"
Steiff Flaps Baby Penguin is made from soft cuddly woven fur in a mixture of black, white and grey. Shiny black eyes just finish off his black and white face. 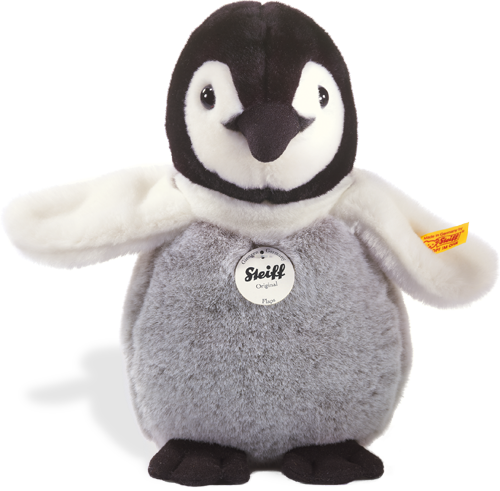 As penguins do not have ears - the famous Steiff button is in his wing. Remember the famous teddy bear is made by Steiff - and they make superb animals - which are lovely to collect.